Accurate assessment on the subsurface geothermal resources remains challengeable from the scientific point of view. The parameter uncertainties and incomplete knowledge of initial conditions for the subsurface environment make the prediction of subsurface temperature based on the thermal models present a strong uncertainty. 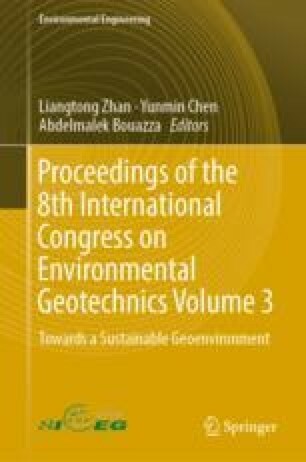 Forward modeling of the temperature at depth may be highly dependent on the radiogenic heat production of the geological layers which are affected by the concentration of uranium, thorium and potassium, and density. It shows that the average concentration of uranium, thorium and potassium is 1.78 ppm, 6.01 ppm and 2.64%, with the standard deviation error of 3.57, 7.27 and 1.85 respectively for the selected region in southwestern Quebec. The sequential gaussian simulation (SGS) method was used to obtain the spatial distribution of the radiogenic elements in a selected region with the size of 35 km × 80 km. Using the density values for specific rocks, the distribution of the radiogenic heat production over the study area is also simulated. Results show that the difference between the minimum and the maximum radiogenic heat production value is 30% when considering the difference in density. The author acknowledge the support of the CAS Pioneer Hundred Talents Program in China. Besides, special thanks to Bernard Giroux and Erwan Gloaguen at INRS-ETE for their invaluable help in technical support of SGeMS software. Thanks to Aurelie Gicquel for providing some radiogenic elements data in the research region.